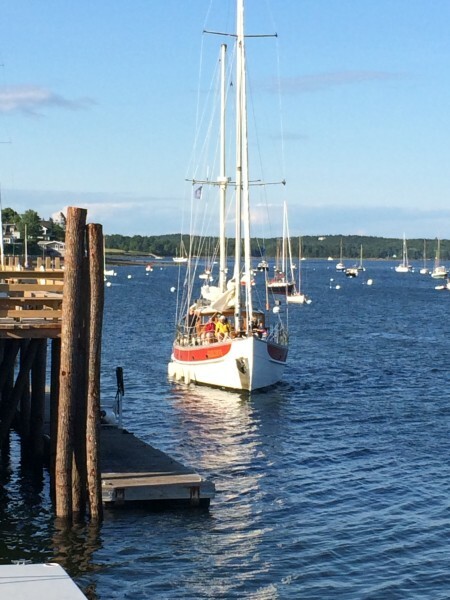 Castine is one of my favorite towns on the Maine coast. It’s a stage set of white clapboard Greek Revival houses from the turn of the 19th century, thriving perennial gardens and a mere handful of shops and restaurants. It seems (and has always seemed) just a little too quiet down this peninsula, which is probably why I like it so much. It’s beautiful but also a bit ghostly, the houses white and silent in the strong light, far enough from Route 1 so it feels as if you’ve stepped back in time. I have always loved the way you write, Everett. You transport us into your stories… I feel summer coming now, and want to be in Castine on either side of a Pentagoet Inn screen door when it slaps shut. Thanks for another great escape! Thanks Anne! I wish I was there right now on that screen porch.